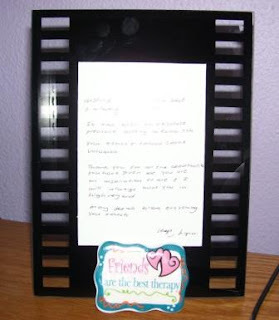 It was my birthday nearly two months ago and I received this photo frame and card from a friend. 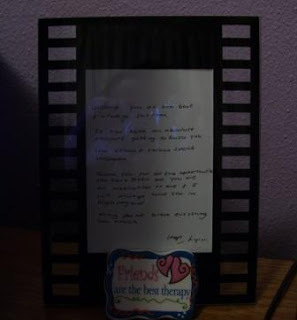 The card really, really, really meant a lot to me (and I told her so) so instead of just putting it in my memory box, I decided to use the photo frame and frame it. It now stands next to my computer so I can be inspired while I work. Thanks again, Angie. What kinds of things do you do to keep inspired?